Chapters 27���28: Blessings and curses for those who keep and break the law. In the Gospel of Matthew, Jesus cited Deuteronomy 6:5 as a Great Commandment. 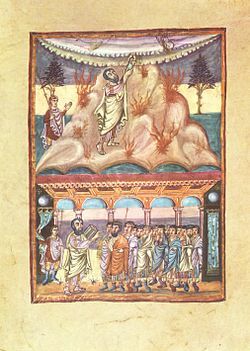 The earliest Christian authors interpreted Deuteronomy's prophecy of the restoration of Israel as having been fulfilled (or superseded) in Jesus Christ and the establishment of the Christian Church (Luke 1–2, Acts 2–5), and Jesus was interpreted to be the "one (i.e., prophet) like me" predicted by Moses in Deuteronomy 18:15 (Acts 3:22–23). While the exact position of Paul the Apostle and Judaism is still debated, a common view is that in place of the elaborate code of laws (mitzvah) set out in Deuteronomy, Paul the Apostle, drawing on Deuteronomy 30:11���14, claimed that the keeping of the Mosaic covenant was superseded by faith in Jesus and the gospel (the New Covenant). McConville, J.G (2002). 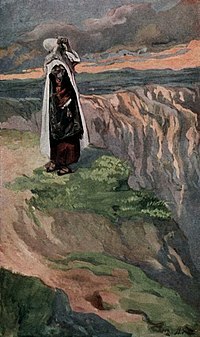 "Deuteronomy" (PDF). In T. Desmond Alexander; David W. Baker. 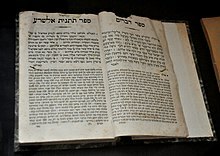 Dictionary of the Old Testament: The Pentateuch. Eisenbrauns. Archived from the original (PDF) on 2008-04-13. Retrieved 2007-11-02.